Taylor's Classic Travels "Vintage-Style Trolley"
Taylor’s Classic Travels is proud to bring you our vintage-style trolley from the historic French Quarter of New Orleans. 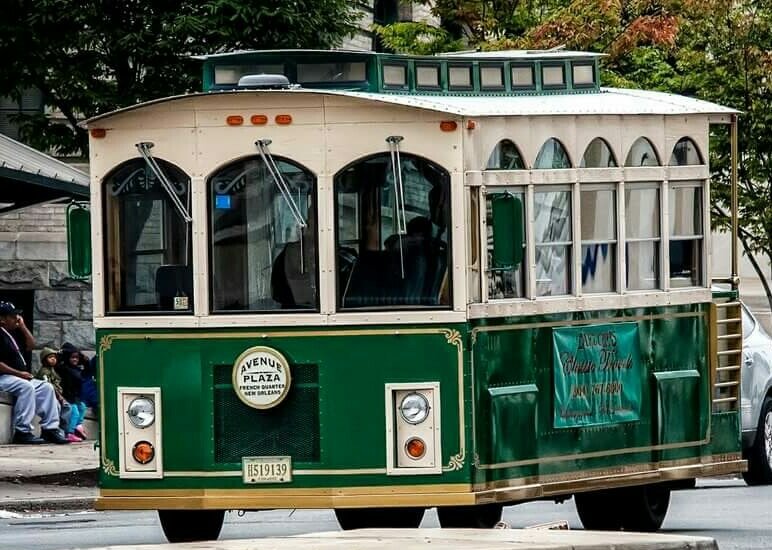 Taylor’s Classic Travels is a Richmond Virginia family-owned trolley rental & chauffeur service specializing in transportation for wedding, bachelor & bachelorette parties, corporate events, wine/brewery/Tacky Light tours, proms, homecomings, etc in the RVA area. Make your next occasion even more memorable with Taylor's Classic Travels' beautiful trolley.